Meticulous in detail but imposing in scale, Michael Mann’s film adaptation of Bryan Burrough’s Public Enemies: America's Greatest Crime Wave and the Birth of the FBI, 1933–34 effortlessly absorbs you into the tumultuous world of cops and robbers in the 1930s. Christian Bale plays the part of Melvin Purvis, an FBI agent while Johnny Depp stars as the provocative and notorious John Dillinger. 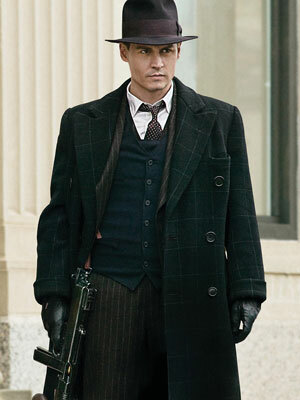 Public Enemies has the aesthetics and cinematography to engross any viewer—a primary strength of the film. The setting is a character in itself, because in broader view, it is revealed that the banks, the streets, the buildings and the landscape are reflections of the quiet turbulence of depression-era America. The characters, particularly John Dillinger, however legendary he may be, are mere pawns in those rapidly-changing times. The storyline fluctuates from being relatively engaging to being tepid and devoid of drama, which is what prevents it from being a classic. It is frustrating, but because the film manages to capture the blood and essence of an era almost like a beautiful docu-drama, one really can’t help but be dazzled.